Here at BambooHR, we want to set people free to do great work. We created the BambooHR Marketplace with that in mind. Our marketplace gives you access to great integrations from our marketplace partners, allowing you to do even greater work. In order to help you choose the best integrations, we have added partners into Pro and Elite tiers. These partners are chosen based on a number of criteria, including integration quality, popularity, and company alignment. Elite integrations are our most used integrations. These integrations have the highest number of satisfied customers and have a track record of helping BambooHR customers achieve their potential. Pro integrations are the up and coming integrations in the Apps Marketplace. They are proven integrations with high customer satisfaction and adoption, and are growing in popularity and utility. By submitting this form, I agree to be contacted and am signing up to receive marketing materials (webinar and event invitations, newsletters, eBooks, etc.) from BambooHR. I understand that I can opt out at any time. Do you have any specific needs you are looking to address? 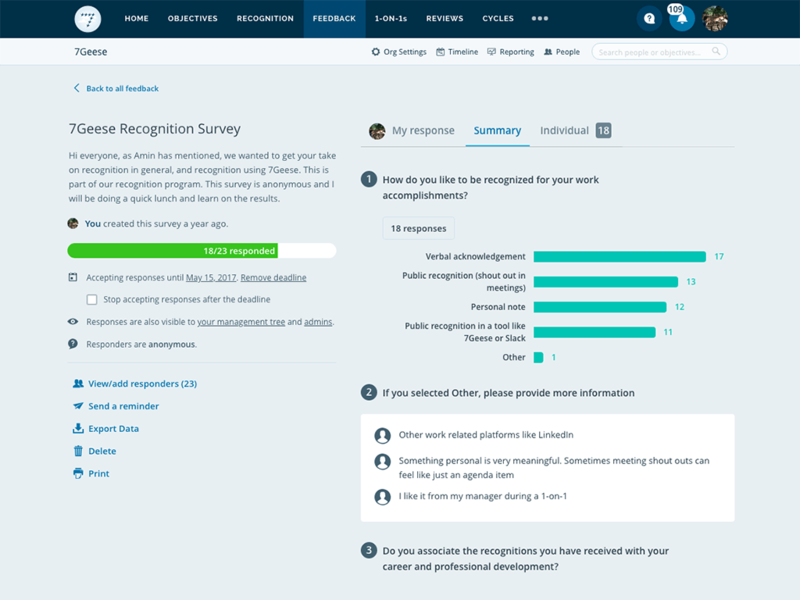 7Geese is a performance management software that empowers employees to better achieve goals, get recognized, receive continuous feedback and conduct performance reviews in an engaging social environment using OKRs. 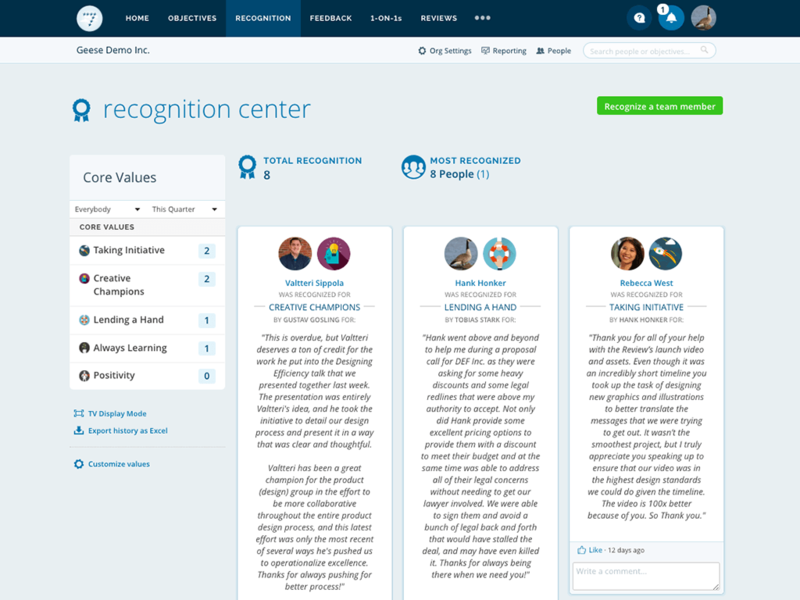 We help organizations focus on engaging people, improving goals visibility, and enhancing company culture to achieve long-term sustainable growth. 7Geese is for organizations that are moving away from traditional command-and-control management to partnering with their people to unleash the human spirit at work. 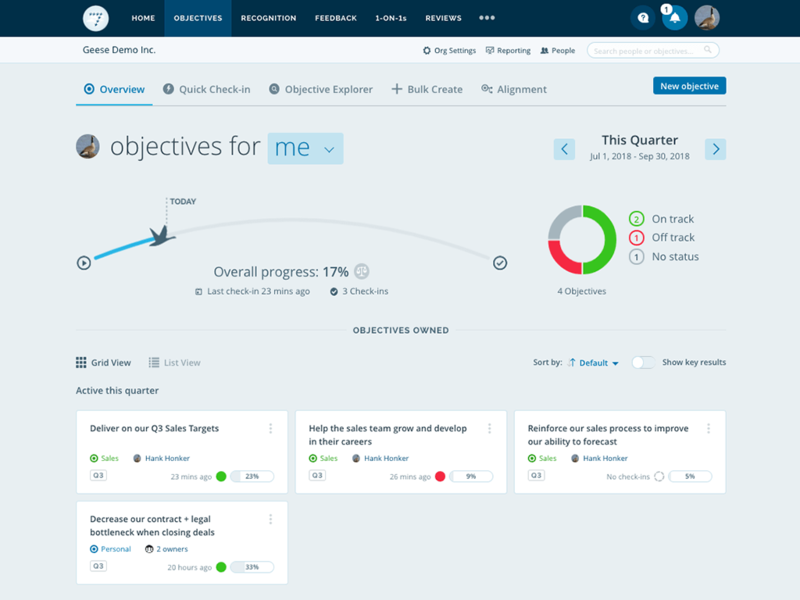 Lightweight continuous feedback in addition to structured 360 feedback to help employees grow. Run employee engagement surveys to diagnose issues and to build a better organization. Conduct objective and time-efficient reviews with automatically compiled performance data. Track individual, department, and organization goals or OKRs. Visualize objective alignment. 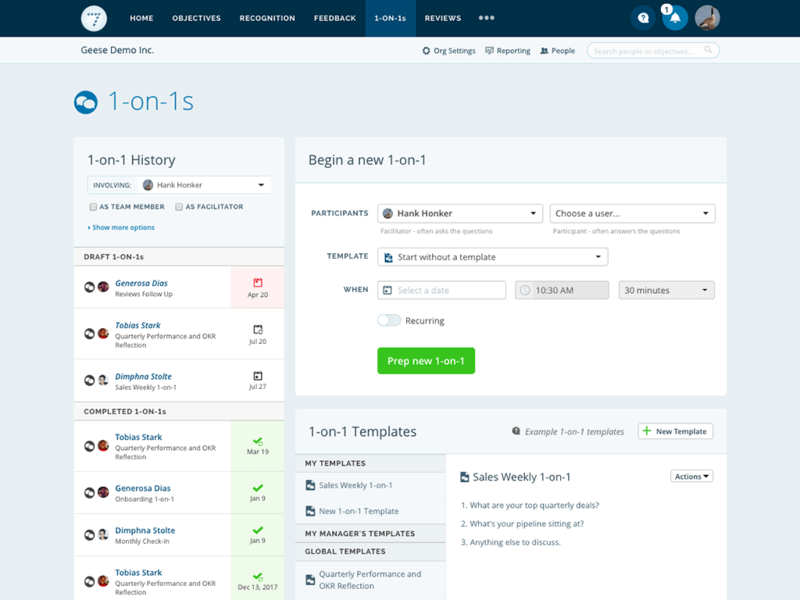 Enable managers and employees to schedule and track 1-on-1 conversations and check-ins. The 7Geese integration with BambooHR automatically syncs user updates from 7Geese to BambooHR daily to avoid duplicated work. In 3 simple steps, all BambooHR users can sync their information to 7Geese. Our partner team sees every request that comes to us. Though we may not have time to respond to them all, know that we hear you! Please keep it to a single suggestion. If you have more than one, feel free to submit another suggestion. It's simply to help us keep track of your feedback. Thanks! Just answer a few more questions so we can get in touch with you if we have further questions on your feedback. Thanks! Are you a user of this integration? If so, we'd love to get your feedback! Tell us what you like or what you think could be improved. © 2019 Bamboo HR LLC. All Rights Reserved.